In today’s episode of The Plant Trainers Podcast we talk to Dr. Brooke Goldner about healing lupus on a plant-based diet. She is a best-selling author, the founder of VeganMedicalDoctor.com, SkypePsychiatrist.com, creator of the Hyper-nourishing Healing Protocol for Lupus Recovery, and is the author of Goodbye Lupus and Green Smoothie Recipes to Kickstart Your Health and Healing. Dr. Goldner was diagnosed with Systemic Lupus Nephritis with stage IV kidney disease at 16 years old and made a startling recovery from her disease at 28 years old using her protocol, which uses supermarket foods. Now, she educates physicians and patients on how to heal and achieve vibrant health using her protocol that has helped many with Lupus and a multitude of other diseases. Dr. Goldner has starred in videos and documentaries such as Eating You Alive, Whitewash, The Conspiracy Against Your Health, Goodbye Lupus, and Super Healthy Meals for Your Family. She has appeared on TV, news and media outlets such as, RTVi News, Natural News Radio, Health Conspiracy Radio, Wellness Radio, and has been featured on the front cover of Vegan Health & Fitness Magazine. Brooke’s story is really an incredible one and we dive into all the details in our conversation with her. We experienced all the emotions listening to her talk about her original prognosis to her ability to have healthy pregnancies and two beautiful boys. There are so many good take aways for anyone suffering with Lupus, and we really do hope you share this episode to give others the ability to say Goodbye Lupus. Is pizza the perfect food? 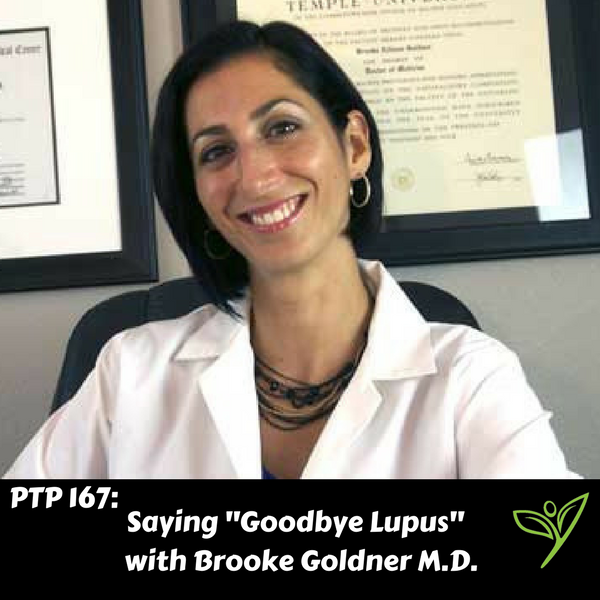 Goodbye Lupus by Brooke Goldner M.D. 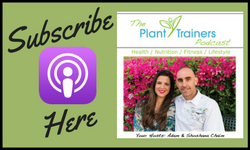 Please subscribe to The Plant Trainers Podcast on Apple Podcasts, Stitcher, iHeart Radio or Player.FM so you will know when we release a new episode. We’re also available to Listen on Google Play Music!